Tornadoes spawned within the outer rainbands of landfalling tropical cyclones regularly pose a great threat to coastal regions. 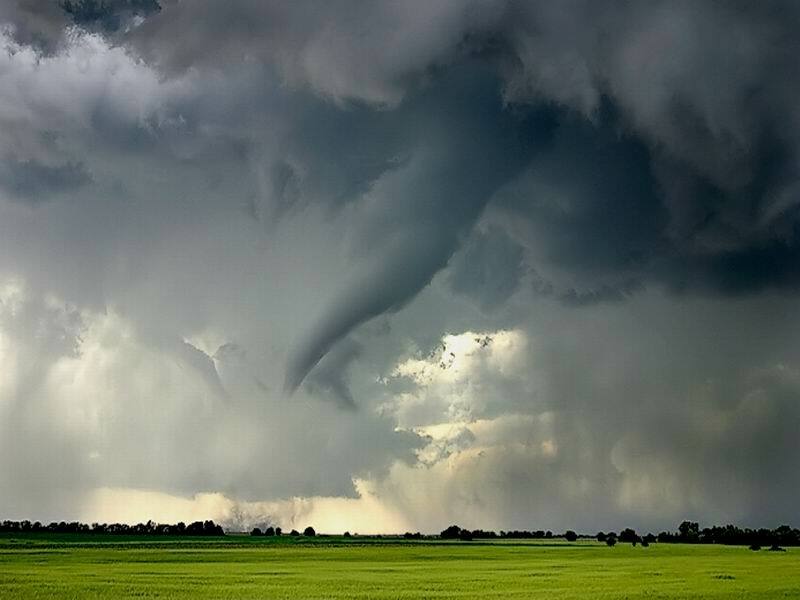 These tornadoes, while less intense than there Great Plains counterparts, can still cause considerable loss of live and property damage. In fact, between 1970 and 2000, tornadoes were responsible for ~5% of all deaths and ~13% of the total insured damage caused by landfalling hurricanes along U.S. coasts. Much of the challenge faced by forecasters is to identify which convective cells will become tornadic out of the hundreds that often move onshore. If common distinguishing features of the tornadic cells can be identified while the cells are still offshore and non-tornadic, then forecasters may be able to increase their lead time and better forewarn the public. 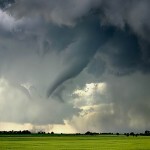 Current research efforts are also directed toward better understanding the various mechanisms and conducive environments that lead to supercell and tornado formation in the rainbands of landfalling tropical cyclones. Our primary approach is through extensive analysis of aircraft and land-based observations (e.g., Doppler radar, GPS dropwinsondes, rawinsondes, and traditional flight-level data). The objective of this study is two-fold: (1) document the structure of multiple offshore convective cells within outer TC rainbands to determine the frequency and structure of offshore supercells, and (2) document significant differences between tornadic and non-tornadic soundings in onshore and near-shore environments of landfalling TC with the goal of developing a new TC-specific parameter for forecasting tornado potential. Eastin, M. D., and C. Self, 2013: Sounding -based prediction of supercell motions in tropical cyclones. 68th Annual Meeting of the Southeastern Division of the Association of American Geographers, Roanoke, VA.
Eastin, M. D., M. C. Link, and B. M. Hays, 2012: Discriminating between tornadic and non-tornadic soundings in tropical cyclones. 30th Conference on Hurricanes and Tropical Meteorology, Jacksonville, FL, American Meteorological Society. Eastin, M. D., and J. Edwards, 2010: Miniature supercells observed in the offshore outer rainbands of Hurricane Gustav (2009). 29th Conference on Hurricanes and Tropical Meteorology, Tucson, AZ, American Meteorological Society. Eastin, M. D., 2009: Tropical cyclone landfall and inland decay experiment: Offshore intense convection module. NOAA Hurricane Research Division Annual Field Program,2 pp. Eastin, M. D., and M. C. Link, 2009: Miniature supercells in an offshore outer rainband of Hurricane Ivan (2004). Monthly Weather Review, 137, 2081-2014. Baker, A. K., M. D. Parker, and M. D. Eastin, 2009: Environmental ingredients for supercells and tornadoes within Hurricane Ivan. Weather and Forecasting, 24, 223-244. Eastin, M. D., 2008: Structural variability of miniature supercells in tropical cyclone rainbands. 24th Conference on Severe and Local Storms, Savannah, GA, American Meteorological Society.